Yes, your guitar can also be illustrated by me. A lot of people ask me to illustrate guitars that they have at home. At beginning everything has started as some sort of a hobby. But later a lot of e-mails started to fill my inbox with all kind of guitar related requests. People wanted a special artwork on guitar body, pickguard, neck, headstock. So I have decided to go in that way. If you ask I will do it...for a price ofcourse. You can see my prices and payment methods for that kind of personal services in my orders and prices section. All my illustrations are made in really big resolutions in 300dpi, so you can use them for printing a large posters, t-shirts or anything else you want. You can use it in any way but only for your own non-profit purposes. Here are a few examples of custom made guitars for people which have contact me and ask me to do this special projects for them. 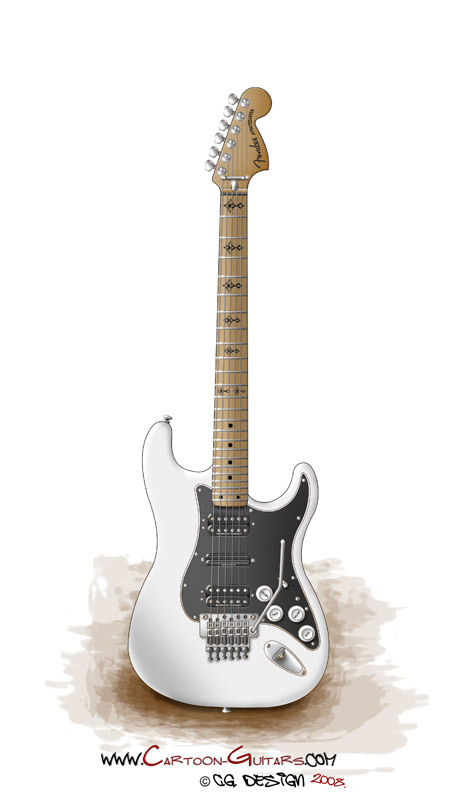 First guitar is FENDER Stratocaster which is made for Mr. David Carisalezz. This is some sort of FENDER-GIBSON LP mix. Body shape is FENDER like, but control knobs for volume and tone are just like on GIBSON Les Paul guitars. Special cross-like artwork on guitar neck is also David's wish. 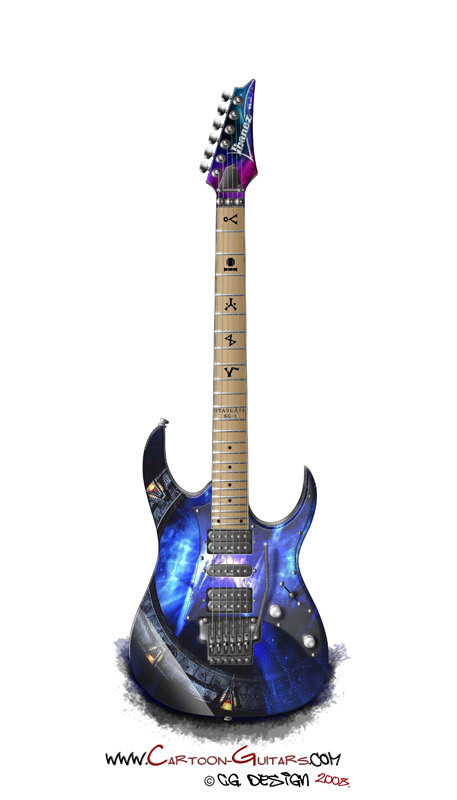 Second guitar is IBANEZ RG350 which is made for my friend who is a big fan of science fiction Stargate series and also a great guitar player. 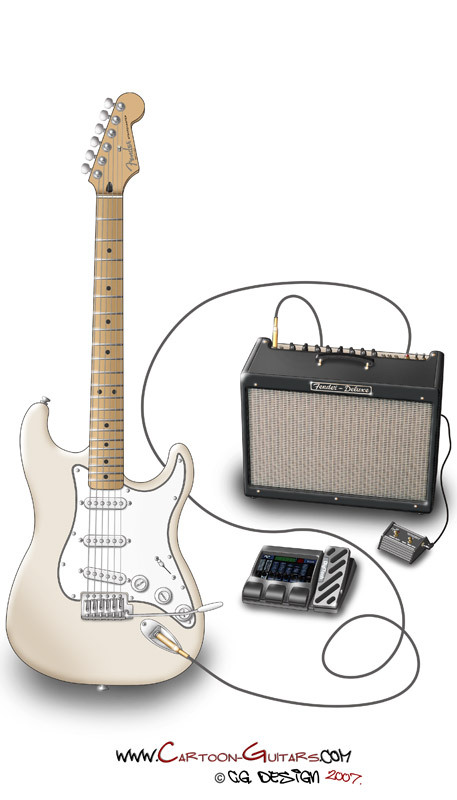 Third guitar is a FENDER Stratocaster guitar and equipment which is made for Mr. Jack Dening who is also a great guitar player and you can listen his songs on his Myspace website. For any further questions or requests please contact me.